I've always had the urge to make and fix things - I think I get it from my dad. I love to learn, and I love to build - my insatiable curiosity coupled with my mad-scientist ingenuity have always guided my endeavors. I studied urban design at Berkeley, worked in experiential marketing around the Bay Area, spent years working in clinical massage, and made wedding cakes in a bakery perched at 9000 feet in the Rocky Mountains. In my spare time I enjoy working on my trucks, creating strange music-producing objects, tending a garden, reinventing my living spaces, and making artsy jams and quilts. Here I am strolling through Denmark while troubleshooting the 2nd generation iPod I found in a recycle bin. Yup, I took it home and fixed it. Want to see some of the strange things I make? I took a long trip through Europe a couple years ago. Naturally I couldn't go without full-size stereo sound, but I wanted to pack light. So, I built myself a stereo system out of a great old vintage suitcase. I used a miniature amp, and 4 sonic transducers to turn the sides of the suitcase into speakers without sacrificing any interior space. It's amazing the friends you can make when you bring a dance party to a hostel. What do you do when your music collection is too vast to be contained by the Apple products currently on the market? Well, naturally you make your own version. Thanks to some aftermarket parts from Hong Kong, now this capacious musical repository lives in the dash of my car so I can drive coast to coast without hearing the same song twice. 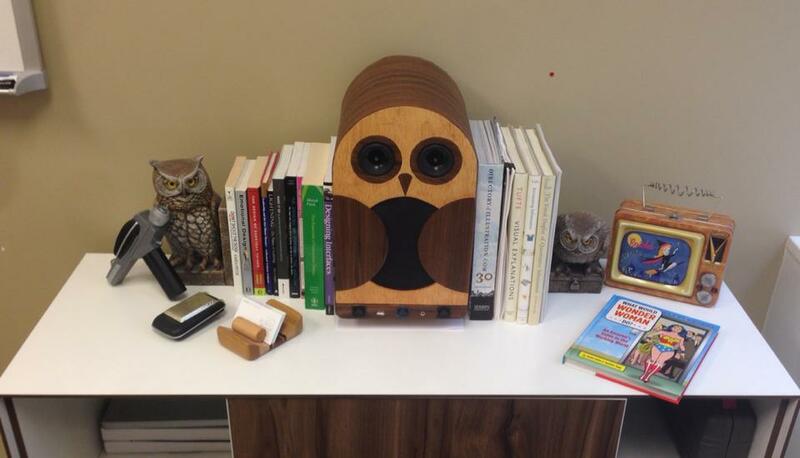 So I have this friend who's a little obsessed with audio, and a lot obsessed with owls. Turns out with enough walnut veneer and trickery, you can merge the two. The built in bluetooth, and subwoofer are great, but the real selling point is the light show that comes from underneath. Whooo wants to party? 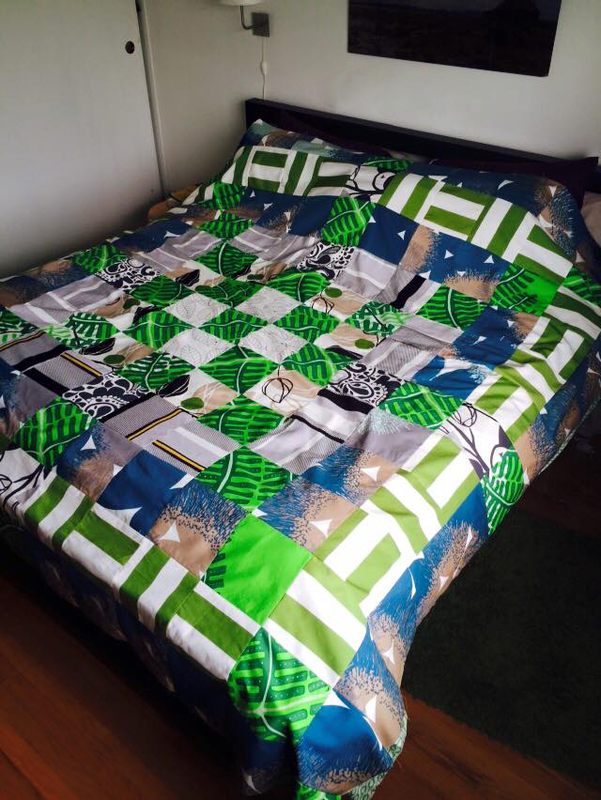 So, you want to try quilting for the first time you say? How about making something with the same square footage as a San Francisco apartment? Fearless ignorance sometimes works out in your favor. You made it all the way down here! Thanks for reading! I'd love to know what you think. Want to get in touch?